It was always dark in Shadowmoon Valley, or at least it seemed that way. 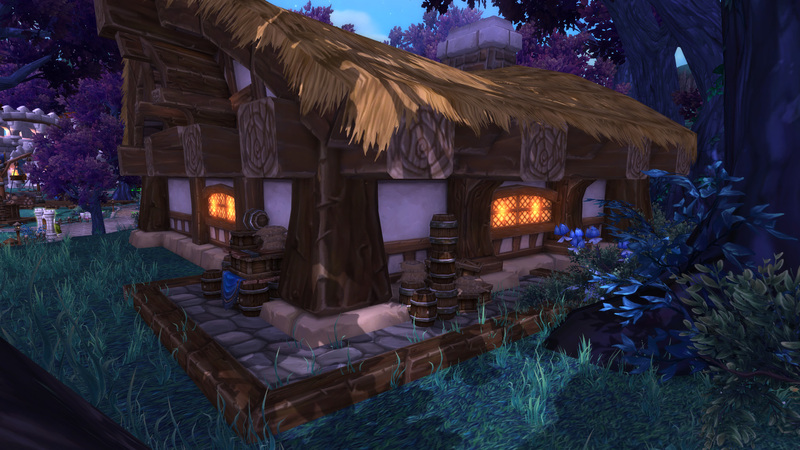 In other areas of Draenor the skies had beautiful sunlight and dark nights, but this place was always the same pale light no matter the hour. There were some who found the lack of daylight majestic, or at least comfortable, but for the Loremaster it was rather dreadful. He was forced to turn to the aid of a mage who might provide him with magical light, or worse, he might have to deal with candlelight when he tried to write. It was tedious and it made his eyes hurt, but his writing had never been so important in his life. The Loremaster was busy writing spells now, rather than history. He was constantly coming up with new magical incantations to deal with the unique poisons and curses that were being thrown at them by these Iron Horde remnants. It was tiresome work, but the time to cash in was finally coming. Sionis Sepher and his team had just arrived at Lunarfall and they was a cheerful tone to their reports. The war was over, the remnants were surrendering of their own accord and casualties were finally slowing. “Bring the horses around for water,” the mage shouted as he approached the Lunarfall Inn where the Loremaster was finishing his latest work. Behind Sionis Sepher was Iliera Sepher, the Draenai Paladin who led the Alliance Draenai forces here in Shadowmoon Valley. She marched with a powerful axe and determined look on her face. “That’s the truth,” Sionis replied. The next few hours were chaos in the Inn. Food and wine were passed around as dozens of soldiers sought the fulfillment of food that they had not had while on their expedition. When things finally started to quiet down, the Loremaster took a moment to grab a bite of food and took a seat at a vacant table in the corner. As he took a big bite of bread, he was surprised to see Sionis appear from around a nearby corner. “Good man,” Sionis said, marching over and collapsing with his back against the wall. “I imagine it might,” the Loremaster replied. There was a long moment of silence between the two, but then the Loremaster determined that he would have to try and seize this opportunity.